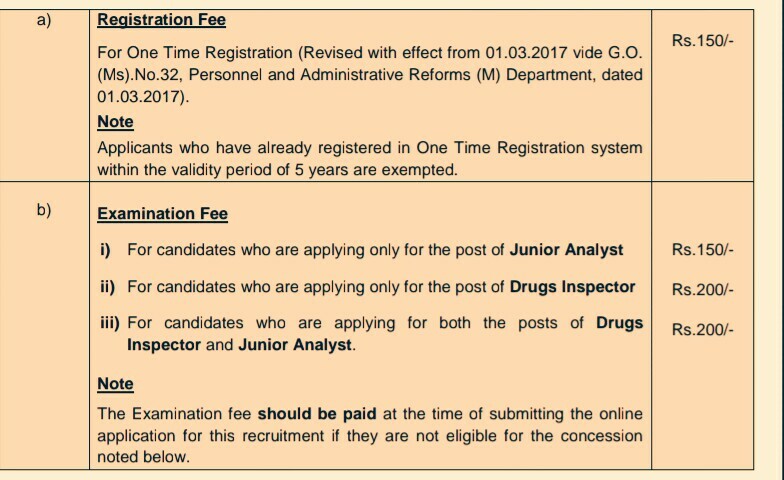 Drugs Inspector & Junior Analyst In The Drugs Testing Laboratory In Tamil Nadu Public Service Commission Recruitment 2019. The Tamil Nadu Public Service Commission, Is Recruiting Eligible People To The Post Which Is Mentioned Above Under Tamil Nadu Medical Service & Tamil Nadu Medical Subordinate Service. So Interested People Can Apply For This Job Through Online Mode Within The Given Time Period. Drugs Inspectors → 40 Vacancies. Total Number Of Vacancies →49 Vacancies, Kindly Do Check Out The Image Below For Eligible Criteria Such As- Educational Qualifications, Pay Scale, Codes, Fee Structure, Important Dates & More. B. Eligible Criteria For Drugs Inspectors & Junior Analysts Job Vacancy In Tamil Nadu PSU. Age Limit →18 Years To 30 Years As On 1st Of July, 2019. Educational Qualifications →Check Out The Above Image's. Mode Of Examination/Selection Process →Written Exam/Oral Test. Online Application/Examination Fee →Again Go Through The 5th Image Of Above. 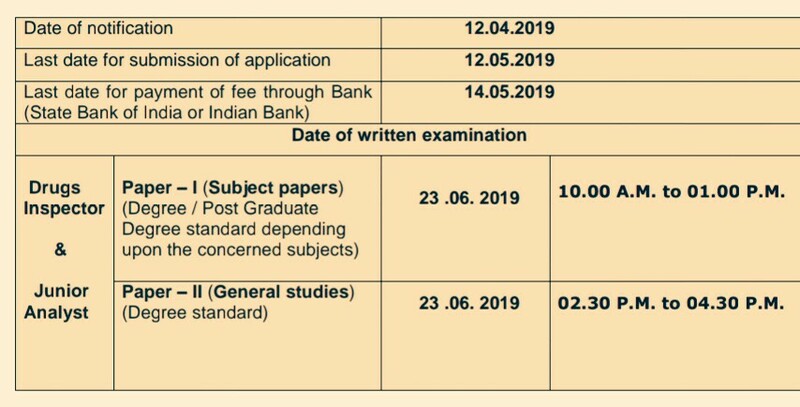 Last Date For Online Application Form Submission →12th Of May, 2019. Now Apply For Junior Analyst & Drugs Inspectors Job Vacancy In TNPSC Recruitment 2019 Notification.